-Each of the 12 Soums (Counties) in Bayan-Ulgii has their own Naadam spread throughout the summer from mid June to September. Soum Naadams have horse racing and wrestling, though usually not archery. These typically last one or two days and a not usually attended by tourists, though you are more than welcome to attend. 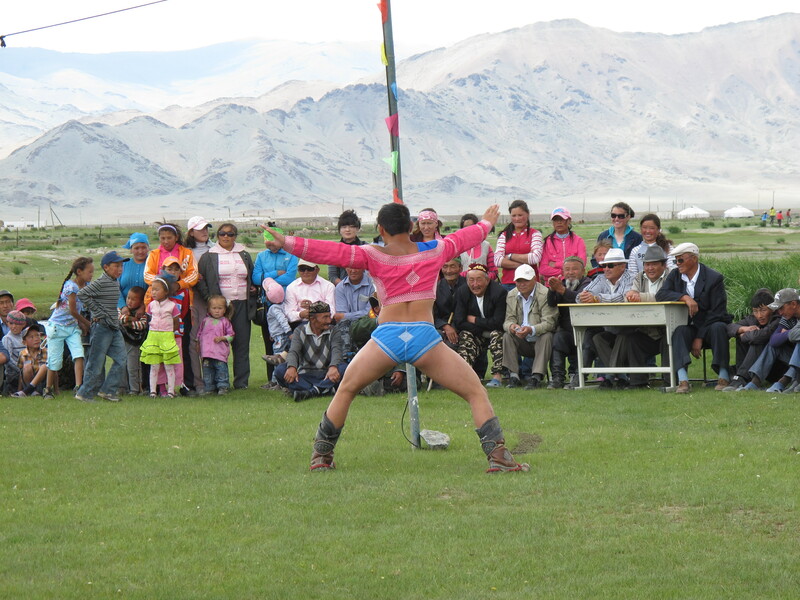 These festivals are a great way to see a real Naadam without the usual crowd of tourists. Dates are usually set 2 or 3 weeks before the events. Whenever possible, tour guides try to include these events in their tours.